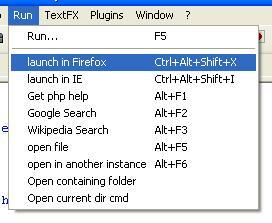 We will be using Notepad++, which is linked from the desktop. 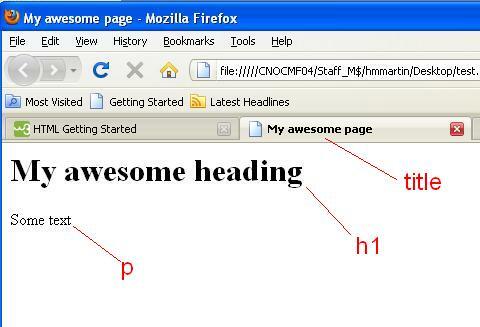 Type out the basic HTML shown above. Notice that tags open and close containers. 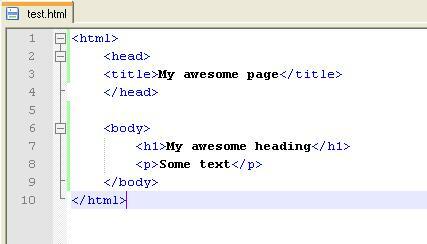 For example, the head starts directly after html starts, contains the title and closes right after that. When you save this page, make sure it ends in .html (bieber.html, for example). Ok, now it’s your turn! What information are you going to want to share about your celebrity? What headings and paragraphs do you need? What links? What images? Take a second to plan and then write out the HTML.